Think of diamonds (or crystals) as the essence of the cannabis plant. 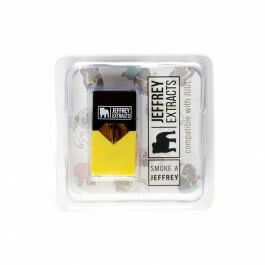 Refined by a series of chemical reactions and molecular mumbo jumbo (the processes of making crystals are highly guarded trade secrets), all that’s left of the plant are pure isolates — clear, compact little nuggets of THC-A which convert to THC when vaped or combusted. 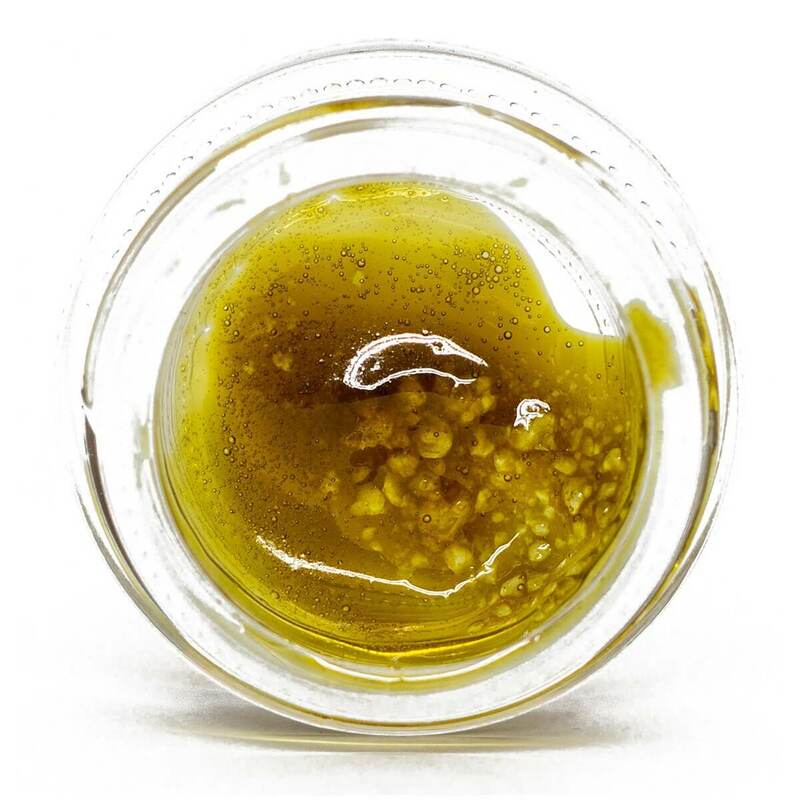 Just when you thought cannabis concentrates couldn’t get any better—all of sudden, terp sauce came along to change the game again. This danker and even more delicious dab has not only unstuck shatter from the top spot; it has purged traditional BHO extracts from their reign altogether. Budder, wax, and yes, even shatter have been relegated to the second division of cannabis concentrates. DIY artisan extracts that are all about maximum THC content (and really the same product, albeit in different consistencies) just can’t compete with full spectrum extracts. This item contains 1 gram. 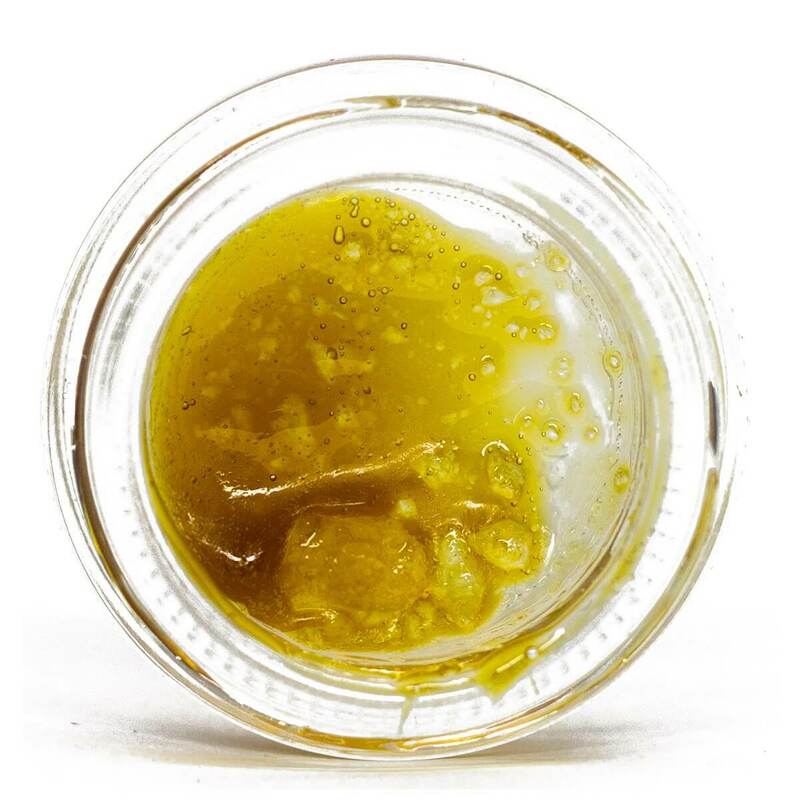 About the product: Sauce Just when you thought cannabis concentrates couldn’t get any better—all of sudden, terp sauce came along to change the game again. This danker and even more delicious dab has not only unstuck shatter from the top spot; it has purged traditional BHO extracts from their reign altogether. Budder, wax, and yes, even shatter have been relegated to the second division of cannabis concentrates. DIY artisan extracts that are all about maximum THC content (and really the same product, albeit in different consistencies) just can’t compete with full spectrum extracts. 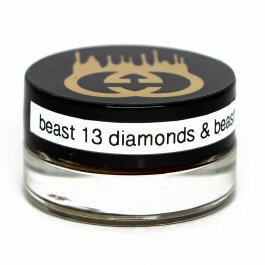 About the product: Diamonds Think of diamonds (or crystals) as the essence of the cannabis plant. 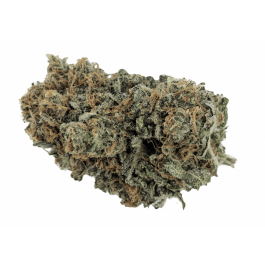 Refined by a series of chemical reactions and molecular mumbo jumbo (the processes of making crystals are highly guarded trade secrets), all that’s left of the plant are pure isolates — clear, compact little nuggets of THC-A which convert to THC when vaped or combusted. Just when you thought cannabis concentrates couldn’t get any better—all of sudden, terp sauce came along to change the game again. This danker and even more delicious dab has not only unstuck shatter from the top spot; it has purged traditional BHO extracts from their reign altogether. Budder, wax, and yes, even shatter have been relegated to the second division of cannabis concentrates. DIY artisan extracts that are all about maximum THC content (and really the same product, albeit in different consistencies) just can’t compete with full spectrum extracts. This item contains 1 gram. 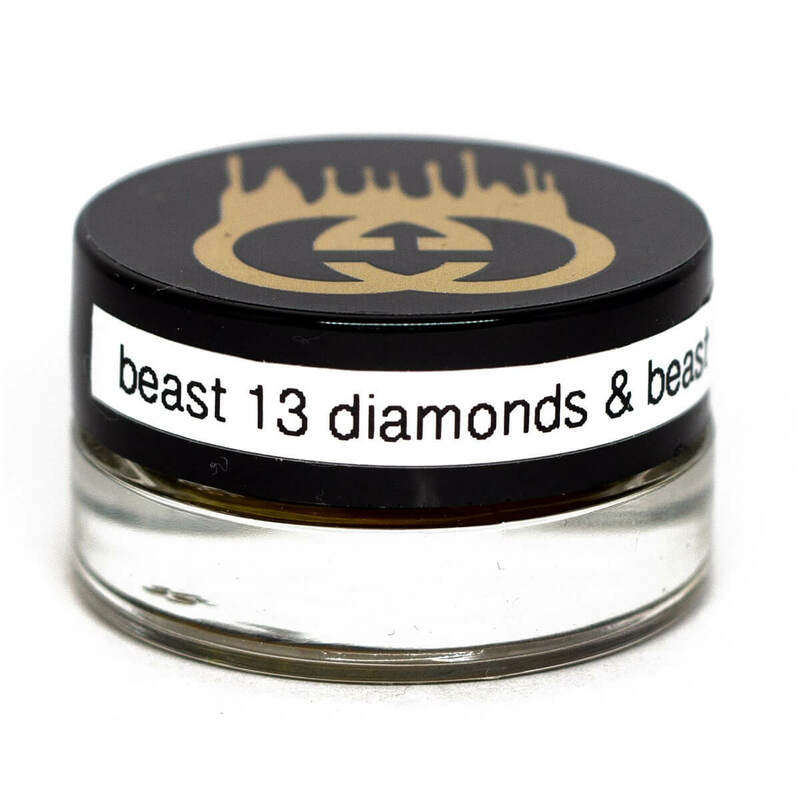 About the product: Sauce Just when you thought cannabis concentrates couldn’t get any better—all of sudden, terp sauce came along to change the game again. This danker and even more delicious dab has not only unstuck shatter from the top spot; it has purged traditional BHO extracts from their reign altogether. 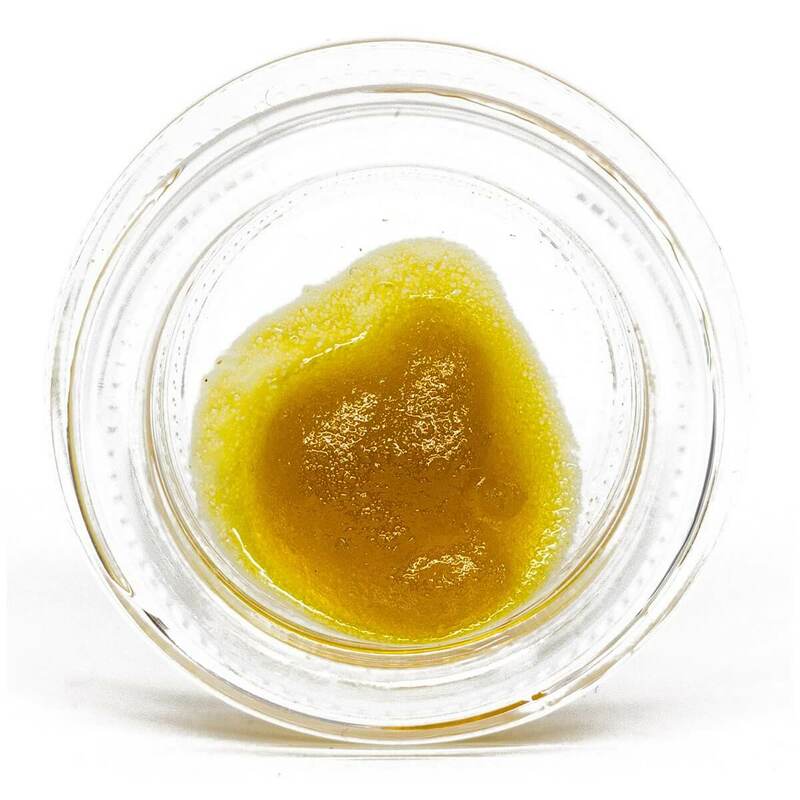 Budder, wax, and yes, even shatter have been relegated to the second division of cannabis concentrates. DIY artisan extracts that are all about maximum THC content (and really the same product, albeit in different consistencies) just can’t compete with full spectrum extracts.